harnesses telematics driving data from onboard fleet management systems or smartphone apps to help your business better manage the risks associated with operating vehicles, and potentially reduce your ERIE business auto premiums. Identifying and analyzing contextual driving risk may lead to better driving performance, a reduction in risky driving and improved driving safety—all of which could contribute to reducing collisions and related costs, protecting drivers, the motoring public, and saving lives. 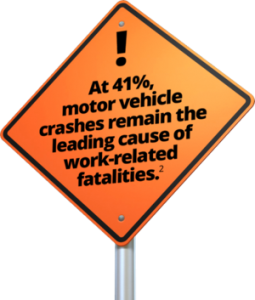 Guidelines for Employers to Reduce Crashes; US Occupational Safety and Health Administration. National Safety Administration, Network of Employers for Transportation Safety. © 2018 Erie Insurance. All rights reserved.